This is the Sprite logo used from 1994 to 2007. This is the Sprite logo used from April 2009 to present. A slight label variant using the 2009 logo, displaying the calorie marker. This sugar free version was originally produced in the United States as "Sugar Free Sprite" in 1974, then was renamed to "Diet Sprite" in 1983. In other countries, it was known as "Sprite Light." In September 2004, it was rebranded as "Diet Sprite Zero." Since then, it has become "Sprite Zero (Sprite Z)" in Argentina, Australia, Bolivia, Brazil, Chile, mainland China, Europe, Paraguay, Peru, Uruguay, Indonesia and New Zealand. 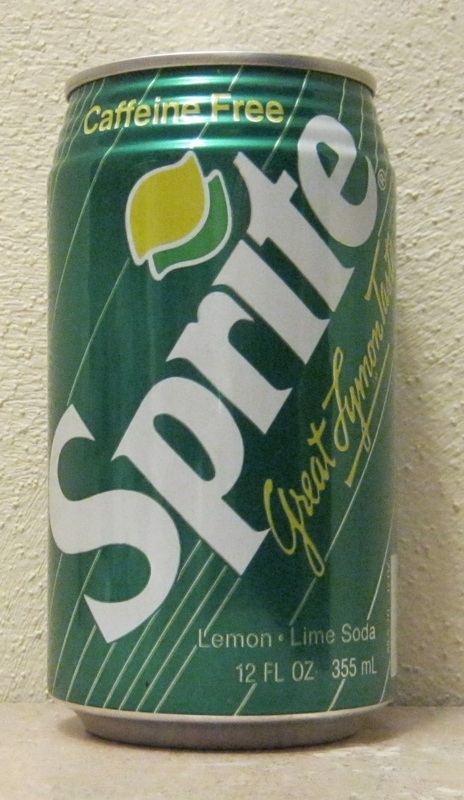 "Diet" was dropped from the product's name to become simply "Sprite Zero" when new logos debuted in June 2006. The "Zero" designation for low-calorie sodas from the Coca-Cola Company was first used on Diet Sprite Zero before being used on the flagship Zero product, Coca-Cola Zero. Sprite Zero using the 2007 logo.